A pound of vegetables like tomatoes, spinach or bell peppers is around $1.50 per pound in grocery stores. When you grow your own, you only spend about .10 - .15 cents per pound! That’s a 90% savings when you grow your own vegetables in your backyard. Visit your local Home Depot to buy seeds! Not only will you be saving yourself money and pesticide health risks, but you can also save yourself calories by growing your own garden! 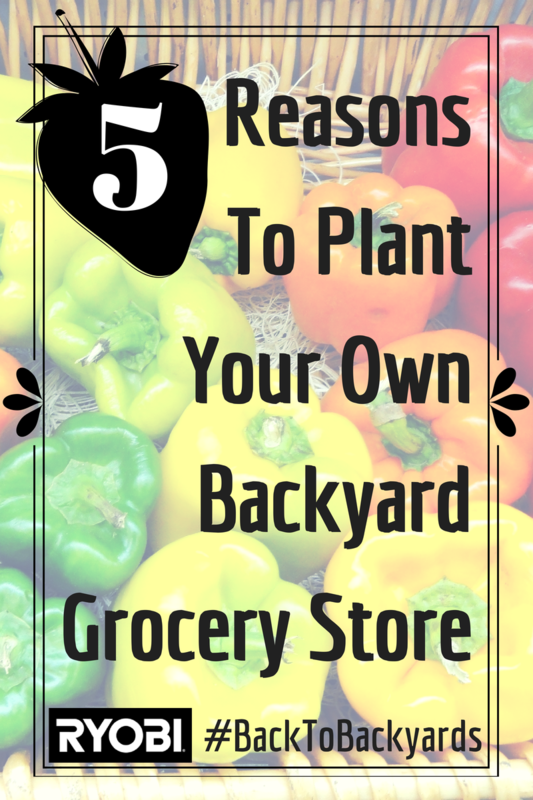 You’ll be more likely to make healthy choices if fruits and vegetables are readily available in your backyard. Check out some great garden-fresh recipes here. Before taking shears in hand, it's important to determine what type of plant you have as well as your reason for pruning. 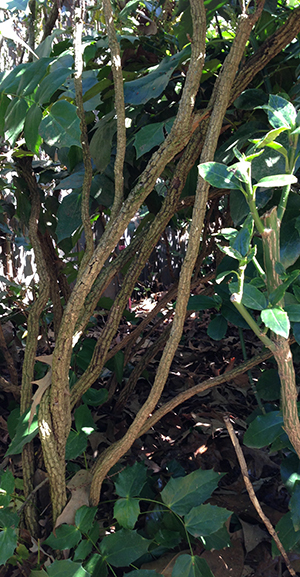 Is the shrub leggy or sparsely leaved? Is it evergreen needles or leaves? Is it deciduous spring or fall blooming? All answers serve to guide what to do when. Use nature's cues—one being the appearance of daffodil foliage—as my signal that it is the perfect time to prune and shape evergreens. Its spring time which means it’s the ideal time for those cool weather vegetables to be planted. The area beside our greenhouse was prepped with gold ole horse manure over the winter and has cured nicely. Now it's time to till it in. Lee brought over his 40V-X Expand-It String Trimmer with Expand-It Cultivator attachment so I could work the soil. WOW! Couldn't believe how well it worked. A must have tool for working small spaces. The life of the battery is amazing and the tool itself is so light weight! At first I didn’t know how well it would perform and how powerful the unit it would be because of its light weight stature. But it did indeed have a PUNCH and was very easy to maneuver. We planted our English Peas earlier in the year, along with other cool weather vegetables, and it is time to revisit the rows and tidy them up a bit. However, when we got there all the rows were crooked; not one of them was straight! So how did that row of peas turn out so crooked? That’s a good question for Lee! This would have been a huge problem if we didn’t have our 40V-X Expand-It String Trimmer with Expand-It Cultivator attachment. I recently watched a mildly amusing movie about a young man who had the gift of time travel. Many times during the roughly 90-minute movie, the main character repeatedly revisited episodes in his past to alter a seemingly insignificant past choice, resulting in a dramatically different future life outcome. As a designer, I’m often called to a client’s home to help rectify 20 year-old mistakes--trees growing into foundations, ungainly shrubs, poor drainage and/or nightmarishly difficult maintenance scenarios. Hindsight is wonderful. Today, more than ever, it is important to pay attention to the type of gas you put in your small engine outdoor power equipment. Ethanol is being added to fuel more frequently and in higher doses. Higher ethanol blends tend to be less expensive but they will really cause problems for your tools as time goes on. Would you rather save a little now and pay for it later, or pay a little more to have your tools running for much longer? 1. Fuel with more than 10% ethanol can corrode metals and rubber that are found in your small engine. This causes the engine to break down quicker. 2. It is actually illegal to use gas with more than 10% ethanol in your small engines!